This spectacular plant can often reach a height of one metre or more. 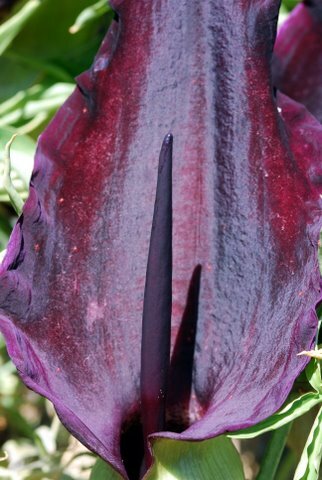 Its colour can vary from pure white to a very dark purple. Its amazing appearance is somewhat marred by its appalling odour – that of rotting flesh. It can be found in olive groves, scrub, and the rubble of gorges and river beds. One of the most frequent questions we receive is about the fascinating little plant, which is in the same family as the stately Dragon Arum. 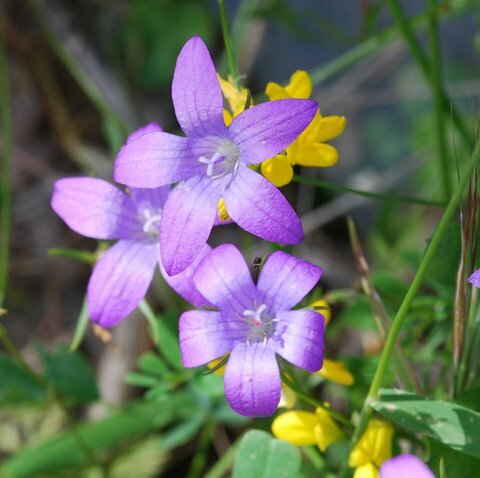 It is a common plant in Crete and can be found in woodlands, olive groves, maquis, scrub and rocky places. It flowers in winter and early spring. What are the flowers you most likely to see on Crete? That depends on where and especially when you visit, but here are 10 flowers that many visitors to Crete are likely to notice, either as they widespread or rather striking in appearance. 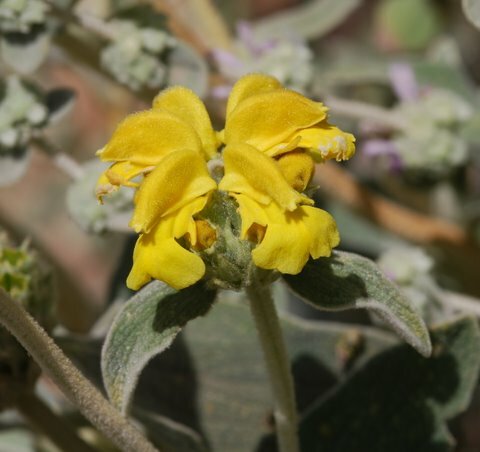 This is one of three species of Phlomis to be found growing on Crete. It is similar to sage, but does not have the strong typical aroma of true sage. Phlomis cretica, along with the very similar Phlomis fructicosa can be found in central and western Crete, whereas in eastern Crete the variety is Phlomis lanata. Despite its name it is not endemic. It can be found in woodland clearings, scrub, garrigue, phrygana and among rocks on chalk substrata. This is the plant that was thought to emit a piercing scream if uprooted, condemning the hearer to instant madness or death. The root does contain a powerful hallucinogenic and was used in witchcraft and herbal medicine. It is very common throughout Crete and can be found in scrub, rocky terrain, and roadsides. This is a perennial native bellflower of central and eastern Crete. It has a very wiry, slender stem which often threads its way through spiny shrubs for protection. It flowers in May and June, before the temperatures start to soar. 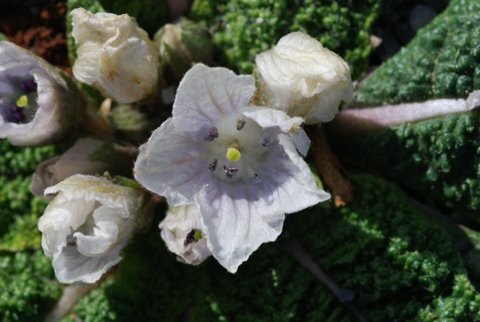 It grows in phrygana, rocky places, scree and river beds. One of two species of Glaucium that grow on Crete, G. flavum grows in rocky places near the sea. 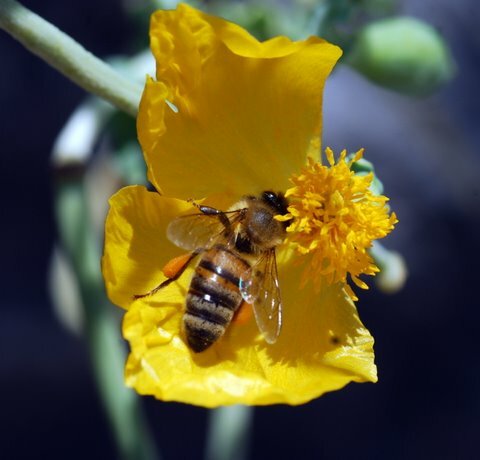 It's the same yellow horned poppy that many know from the coast of southern and eastern England. This specimen was photographed on the headland in Aghios Nikolaos in June. It is fairly common all over the island. Some plants, as this one, have plain yellow petals, while some have a black/brown blotch at the base of each petal. 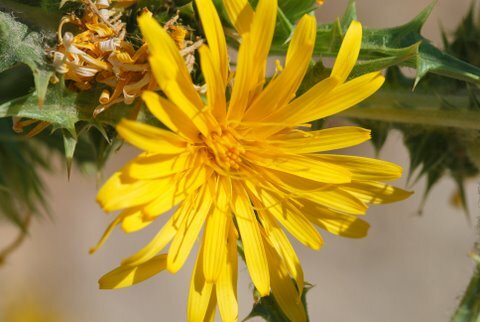 This is a pernicious weed which was introduced to Crete (and practically everywhere else) from South Africa. 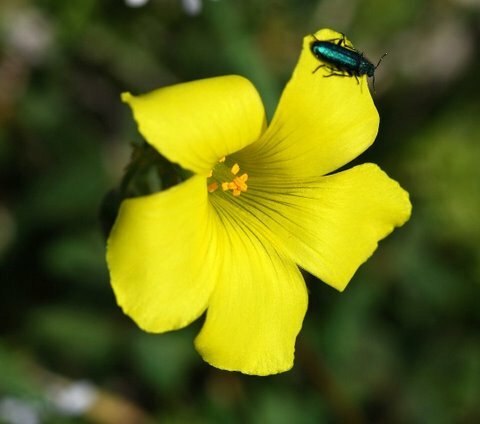 Its bright, yellow blooms are attractive and can form dense carpets in meadows and olive grows, but its aggressive spread is forcing out and suffocating native plants. To reproduce it forms underground bulbils that are very difficult to eradicate and they remain in the soil when the parent plant is pulled up. Of the two forms of Cistus creticus on the island, this variety seems to be the most common and widespread. It can be recognized by its flat edged leaves and fewer, larger flowers than Cistus creticus ssp creticus. Labdanum, an aromatic resin, is still harvested in villages west of Heraklion in the traditional manner. It can be found in woodland clearings, maquis, garrigue and phryganae. Another of our frequently asked questions is to identify this amazingly beautiful but strange iris. As a result of its fragrance it is often sold as a cut flower. It is widespread in the Mediterranean, but is found sporadically on Crete. Its name of Hermodactylus likens this plant to the ‘fingers of Hermes’, which may refer to its elongated, underground rhizome (bulb). It can be found in fields, stream banks, roadsides and light woodland. The young roots and leaf tips of this plant are used as a vegetable and can be boiled, braised or steamed. As the plant matures, however, it becomes tough and prickly. It can be found growing on roadsides and in abandoned fields. When in full flower, this is a very attractive and ornamental plant, which can be found across the island.